How Does One Prepare for a Novel Writing Marathon? How Do You Solve a Problem Like Maria? Okay. There you have the first few lines of MARIA. Lyrics by Oscar Hammerstein II and composition by Richard Rodgers. I’m looking at this and guess what? I don’t see a problem. You can’t solve a problem that isn’t there. You don’t fix someone who marches to the beat of their own drum. You embrace them. Those silly nuns were just too rule-oriented. They could have really partied up that nunnery, had they had vision and insight. Shut up, nuns. One should waltz on their way to mass. One should whistle on the stair. And what wimple wouldn’t look more fabulous than one with the bulge of curlers beneath it? Get real, nuns! I mean, seriously. So, in closing…one does not solve a problem like Maria. One embraces the freedom that Maria personifies. One doesn’t catch a cloud and pin it down. Christ! That’s a barbaric notion. One watches the cloud dance. Guess what, Nun dudes? YOU DON’T. You watch it alight on something. You experience its light and how it changes a thing. Hold it!? Those nuns were cannibals! To harness a thing that personifies delight is to kill the world itself. A writing quote opportunity has just arisen. This can be the segue, because let’s face it…I almost forgot what this post was to be about! There. From moonbeam in the hand to show don’t tell. It was a leap, but I made it. Now…on to preparing for a novel marathon. As some of you have probably figured out by now, I’m a lover of the weekend novel writing marathon. 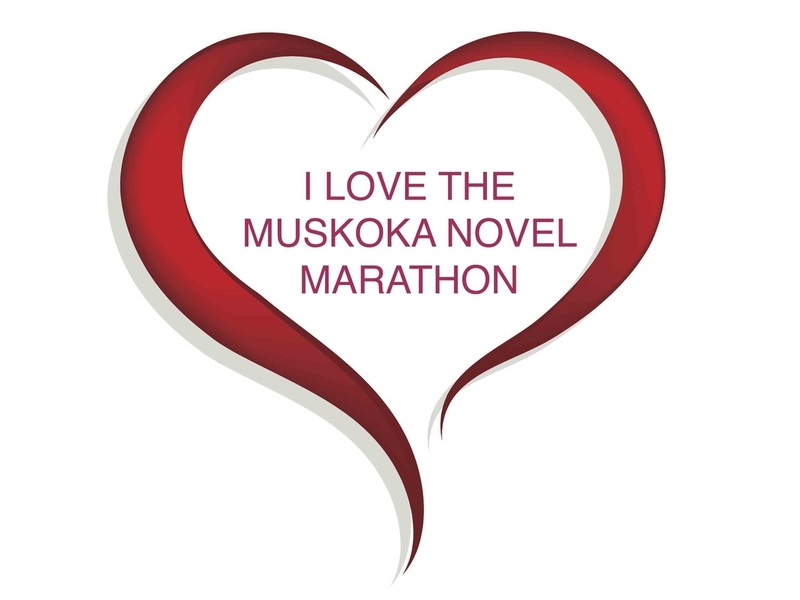 The MUSKOKA NOVEL MARATHON in particular. The 2014 marathon is coming up. Nay, it is racing to the forefront of my schedule. It is screaming itself into existence. On Friday July 11th I will make my way up to Huntsville, Ontario, for my annual MNM pilgrimage. I–along with some forty other writers–will write non-stop for 72 hours and walk away from the weekend with a complete novel under my belt. Hopefully. One would think much planning would be involved in preparing yourself to write a novel in a weekend. One would think one would need to do some kind of writing endurance calisthenics, or something. One would think that an outline of sorts would be required. An opening paragraph. An opening line. Something! Guess what? There is no formula. As I said, forty writers will be making the same trek as me. Forty writers will go into this marathon weekend with forty different plans, forty different ways to prepare, forty different concepts. The way one prepares for a novel writing marathon is absolutely unique to the individual. We are not all nuns, forced into the confines of formulaic rules and strategies. We don’t have to be the same. We can be as unique as snowflakes. Let’s face it, we’re all MARIAs. Let’s just get that on the table right now. The job of the writer is to climb the tree and scrape their knee. A writer does not march in line with the rest of the world. Unless, of course, they want to. A writer of fiction takes up a challenge every time they sit down to write. They create a universe. That universe can be as structured and unmoving as steel, or it can be flibbertijibbet. How they get there is of no consequence. They climb a tree. They scrape their knee. Voila! They have a story. To prepare for a novel marathon, a writer needs to cut away structure and discipline. They need to release control. Control lives only in the land of here-not-here. There-not-there. None of us have control of anything. To give up control is merely to give up the illusion of control. Sure, you can enter a novel marathon with a full page outline. You can have every single chapter of your novel outlined in point form. You can have your character profiles all standing in a tight little row like nuns at a shooting gallery, ready to be pegged off by angry satanists. You can do that. Yes you can. But I’ve done seven or eight novel marathons now. I know what works for me. I know how this puppy rolls. I go in with a Nancy, a Bob and a Timothy about to embark on a story of love and deception. Half an hour into the marathon I find myself writing about Grace and Bill, two hippies who just want to change the world for the better with their hot-air balloon tour company. Free rides for anyone who donates a hundred kisses to the local animal shelter! So, in closing, this writer does not prepare. He goes in with a story or two or seven swirling in his head…desperately wanting to be told. He picks the one that screams the most to be heard at the time he sits down to begin the marathon. He hopes it has staying power. He writes. When I get there, I want to be confused, out of focus and bemused. I want to be unpredictable as weather, as flighty as a feather. I’m a cloud. Don’t pin me down, dude. The answer is simple. You don’t hold a moonbeam in your hand. 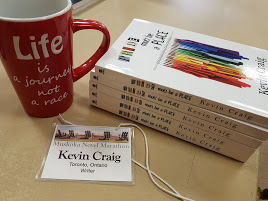 THE MUSKOKA NOVEL MARATHON IS FIRST AND FOREMOST A WAY TO BRING AWARENESS TO, AND RAISE FUNDS FOR LITERACY PROGRAMS. PLEASE CONSIDER SPONSORING MY WEEKEND NOVEL WRITING MARATHON. YOU CAN DO SO ONLINE BY CLICKING HERE. ALL FUNDS GO TO THE YMCA SIMCOE/MUSKOKA ADULT LITERACY PROGRAMS. THANK YOU SO MUCH IN ADVANCE. TOGETHER, WE CAN OBLITERATE ILLITERACY! Leftbank Writers Retreat! I’m Back From Paris, the Moveable Feast! I have just returned from the Left Bank and I am in love. But it is not just being immersed in Paris’s Left Bank that has made me feel this way. It is the enchanted way in which I got to see it that made it so special. If you are a writer, you really should check out the LEFTBANK WRITERS RETREAT. It is the best thing I have done for my writing life in years, possibly ever. As an avid fan of Ernest Hemingway’s Paris–through reading and rereading his Moveable Feast–I wanted to see it through his filter. With the Leftbank Writers Retreat that is exactly what happened. Darla Worden, Sarah Suzor and Travis Cebula–the LBWR faculty–were extremely knowledgeable of all things Hemingway and Paris. But they didn’t only lead us through the streets of Hemingway’s Paris, pointing out all the incredible places frequented by Hemingway. They gave us everything they knew of Paris. Every day we went on a new adventure. 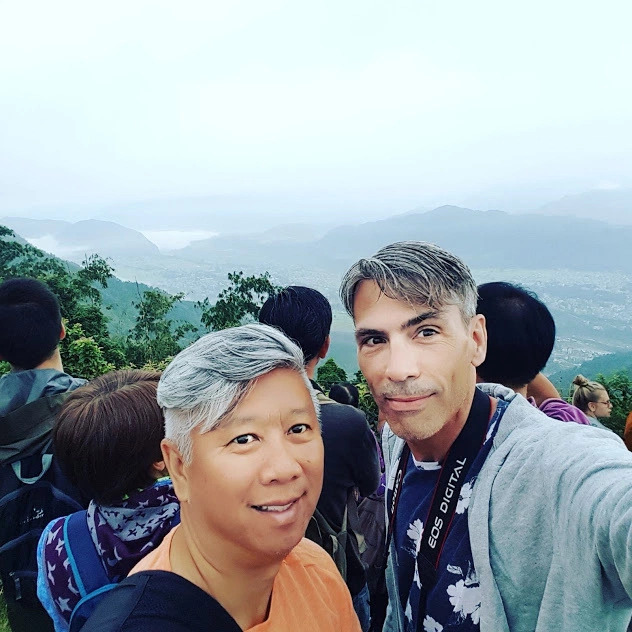 We went to museums, we went to Shakespeare & Company, we ate at Hemingway’s favourite restaurants and other incredible pearls the faculty had discovered on their own numerous trips to Paris. We went to Montmartre, we took a boat cruise to the Tower Eiffel. Every day was magical. And the registrants did not have to worry about a single thing during our days together. The meals, museum tickets, and metro passes were included in the tuition. We merely followed our three leaders as they led us into a magical adventure every single day. And we wrote every single day of the retreat. The faculty lead us in some fantastic writing exercises in such wondrous places as the Tuileries, the Luxemburg Gardens and the gardens of Notre Dame Cathedral. From the moment I met Darla, Sarah and Travis, it was clear they LOVED what they were doing. They didn’t only love writing and Paris, they loved wrapping up the city they were so passionate about in a huge bow and gifting it to each and every one of the writers who registered for the retreat. They came alive when we came alive. And with our evenings free, we were off to explore Paris individually or together on our own terms. Again, the faculty were there to answer any and all questions we might have had before we set off on our journeys into the Paris evening. Au Lapin Agile – Setting for Steve Martin’s glorious play Picasso at the Lapin Agile! My bucket list moment – Stepping inside the famous Shakespeare & Company! My grandson Charlie, born while I was at the airport about to take off for Paris. Mr. Beautiful! If you want to see Notre Dame without the crowds, go at 8am. Perfect time. Thanks to LBWR faculty member Travis for the tip (one of many!). Nina. Atop the Arc de Triomphe. Paris, 2014. Shakespeare and Company. Paris. 2014. Tower Eiffel, as seen on our boat tour of the Seine. Approaching the incredibly massive Louvre. The Seine, from atop the Tower Eiffel. La Closerie des Lilas – One of Hemingway’s haunts! Lunch at Musee D’Orsay – As with all lunches during the week, this was included in the LBWR tuition. The stairs where, in MIDNIGHT IN PARIS, Gil awaited the arrival of the car to take him back into the 1920s Paris night! From atop the Tower Eiffel! A piece in the garden of the Musee Rodin, which was included in the LBWR tuition. Approaching the Arc de Triomphe for the first time. A magical sun on a magical evening! My favourite artist, Odilon Redon, was celebrated in two of the museums we visited! Inside the Louvre, in the apartments of Napoleon! The neverending spiral staircase one must climb to reach the top of the Arc de Triomphe! Nina and I about to take on the Louvre! And we were running! One of the settings for Amélie, a movie I adore! If you do one thing for your writing life–just one thing ever–make sure it is to register for the LEFTBANK WRITERS RETREAT. You will not be disappointed! You will see Paris like you’ve never seen it before. And if you’ve never seen it before, you will see it in the best possible way! You will come away from your experience with a wealth of new writing and a passion to re-immerse yourself in your writing. And wherever you go for the rest of your life, you will take it with you…for the LEFTBANK WRITERS RETREAT is a moveable feast! Contact Darla today to start a dialogue on the June 2015 retreat. I will be taking small workshops every day while I’m there…little exercises in the exploration of all things writing. On the menu is; poetry, finding your voice, place as character and more. 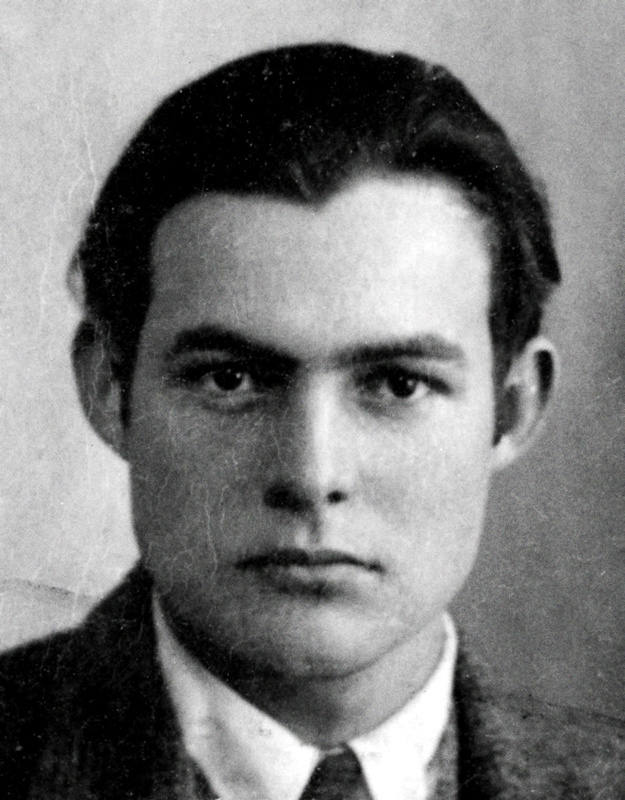 PLUS—we will be exploring Hemingway’s Paris AND F. Scott Fitzgerald’s Paris. Please don’t forget to check out my previous post! I’m having a fundraiser for MALESURVIVOR. For a limited time, 100% of the royalties of my book sales will be going towards their Weekend of Recovery Scholarship program. Today, I would like to share a book cover with my readers! 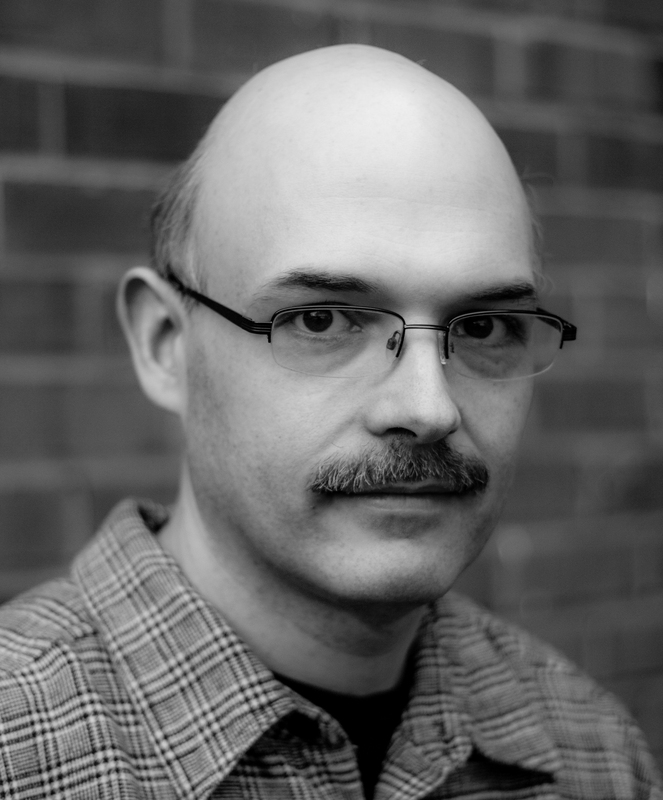 Matthew Cox is an author from my new publishing family, Curiosity Quills Press. 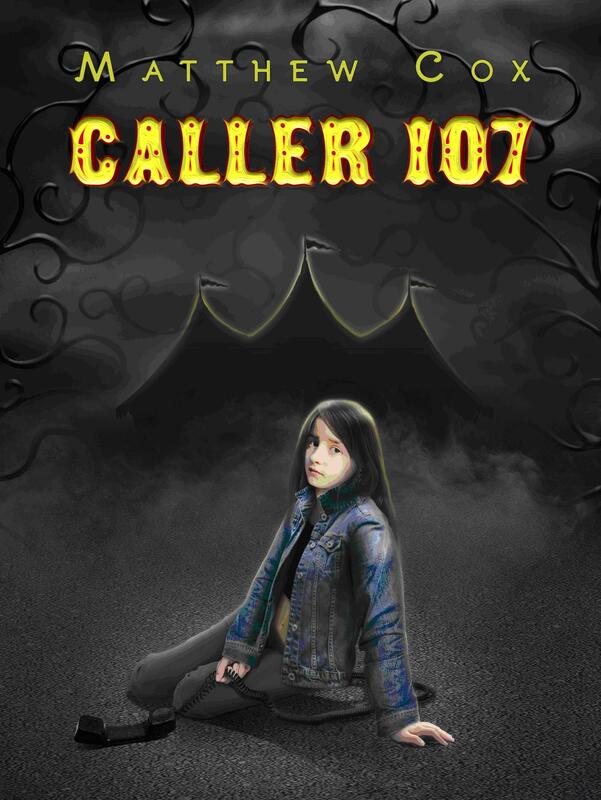 Today’s cover reveal is for his book, CALLER 107, which releases in July, 2014. Congratulations to Matthew! Wishing you all the best! I used to think the eternal sleep would be a welcome reprieve. Honestly, I did. Even in the height of any happiness, I was suspicious. In fact, the state of happiness itself was enough to send me into a tailspin. My wires had become so crossed that I didn’t know how to react to good things happening. I used to think Asleep by The Smiths was a happy song. I still love it, but now I see that it’s a song about giving up…about forgoing the light in favour of darkness. It’s a song about taking the safe route, the well worn road of comfort and emotional deadness. STATIC. It wasn’t just my writing life that was effected by this eternal state of ennui. It was present in every corner of my life. I still love this song immensely. But it’s no longer me. I don’t want to sleep. I have so much to catch up on. I feel like a Grimm fairy tale character who wakes up in a gloomy dark forest in the middle of nowhere, after a thousand years of sleep. The canvas was once water-washed with a thin film of black…making all the other colours muted and ghastly. Those lines in particular always made me sad…but in a semi-happy way. Because I understood them to my core. I believed the lie. I was lulled into thinking I honestly did want to go. If you find yourself in darkness, I have one simple piece of advice for you. Turn on the light. You’re probably the only one who can do so. Don’t get me wrong, I’m not telling you not to seek help. There is nothing weak about seeking help and I encourage anyone suffering from depression to do so. But you can reach out a thousand times for help…if you’re not willing to accept it fully, though, you’re only paying lip service. When you’re ready to receive happiness, it’s up to you to turn on the light. When it’s off you think turning it on is the most impossibly difficult thing in the universe to do. But the sick and terrible secret is just how easy it is to turn on the light. It’s a slight shift. That’s all. Perception is both a friend and an enemy. We must use it wisely. I’ve been living in happiness for some time now. It’s true, for quite a while I’ve been waiting for the other shoe to drop. Waiting for something to happen that would switch the light back off. But it’s not happening. I’m ready to accept that the light can stay on. There’s no reason to swivel back and forth…to run from feelings of happiness. Not when there is so much to be happy about. Not when there’s so much to be grateful for. I used to think R.E.M.’s Shiny Happy People was this mystical unattainable thing. The song always hit me. I knew it was an elixir…I just didn’t know how to drink it. Visit my author page on Amazon for currently available novels!